Greek historians refer to the city as Ake, meaning "cure." According to the Greek myth, Heracles found curative herbs here to heal his wounds. The name was changed to Antiochia Ptolemais shortly after Alexander the Great's conquest, and then to Ptolemais, probably by Ptolemy Soter, after the partition of the kingdom of Alexander the Great. About 165 BC Judas Maccabeus defeated the Seleucids in several battles in Galilee, and drove them into Ptolemais. About 153 BC Alexander Balas, son of Antiochus Epiphanes, contesting the Seleucid crown with Demetrius, seized the city, which opened its gates to him. 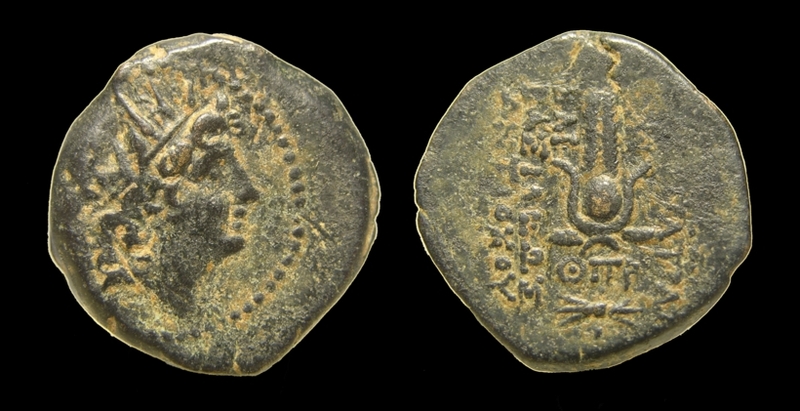 Demetrius offered many bribes to the Maccabees to obtain Jewish support against his rival, including the revenues of Ptolemais for the benefit of the Temple in Jerusalem, but in vain. 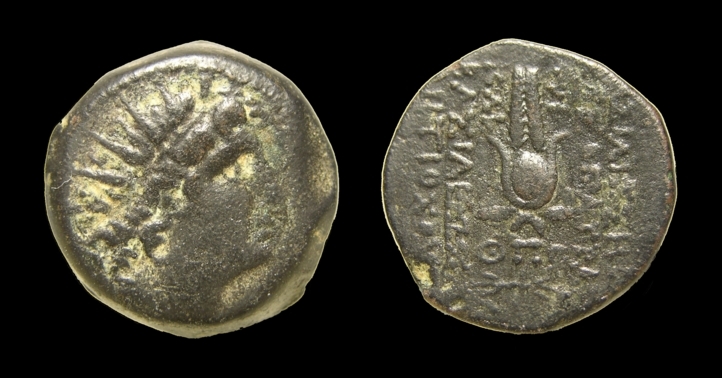 Jonathan Maccabaeus threw in his lot with Alexander, and in 150 BC he was received by him with great honour in Ptolemais. Some years later, however, Tryphon, an officer of the Seleucids, who had grown suspicious of the Maccabees, enticed Jonathan into Ptolemais and there treacherously took him prisoner. The city was captured by Alexander Jannaeus, Cleopatra VII of Egypt and Tigranes II of Armenia. 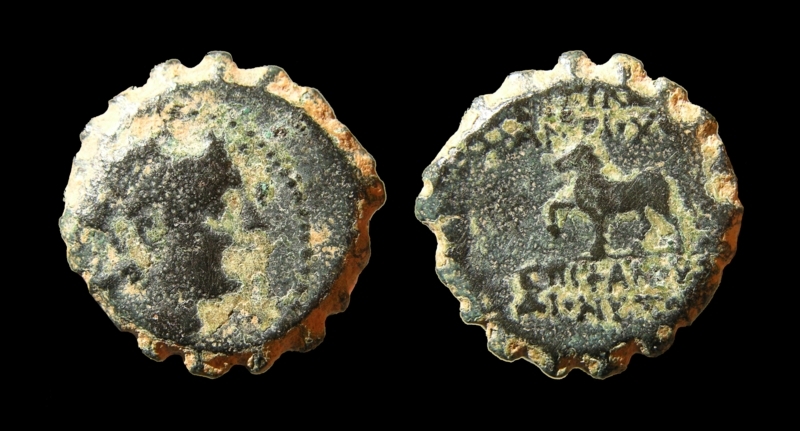 Obvs: Radiate head of Antiochus right, within dotted border. Obvs: No inscription. 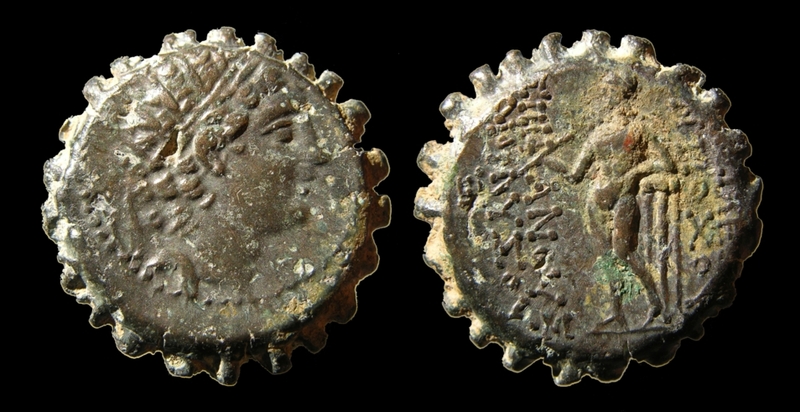 Antiochus diademed head right, within dotted border. Obvs: No inscription. Diademed, radiate head of Antiochus right. Obvs: No inscription. 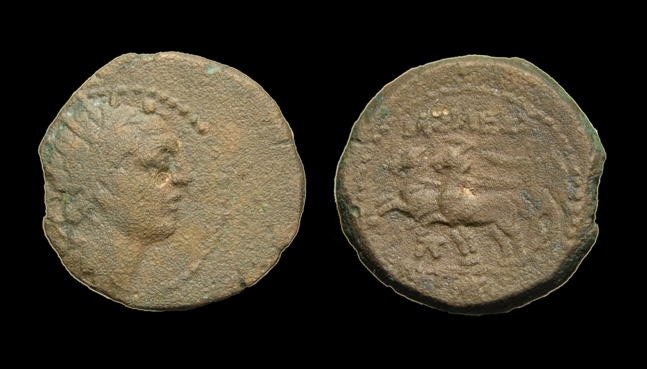 Antiochos radiate head right, within dotted border.